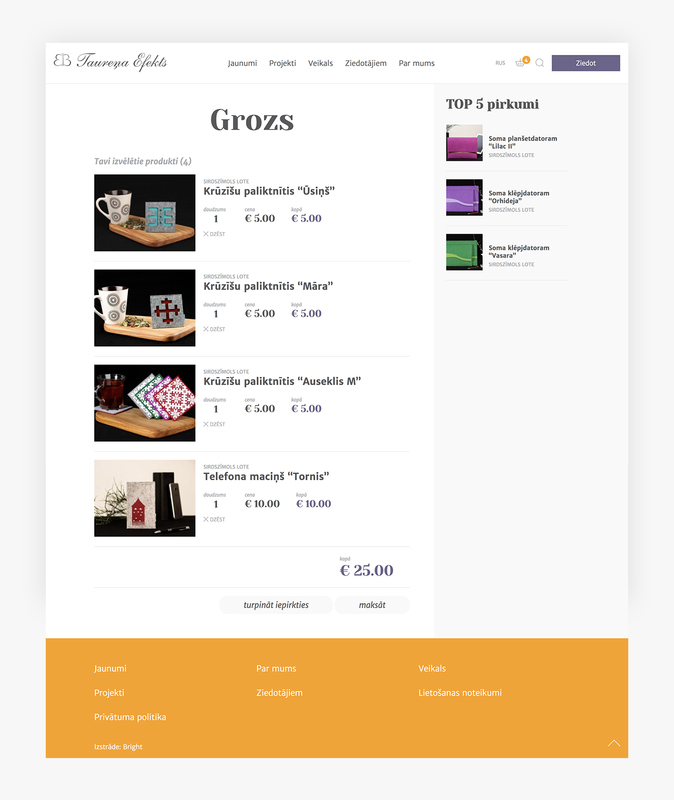 Bright has developed a new website – online shop for the public benefit organization Taureņa efekts. In order to develop the website, an analysis of various pages of international as well as national organizations was carried out. The development process included creating a unique design that highlights and explains how each page visitor can support a variety of projects. Considering the diverse target audience of the website, particular attention was paid in making the page as user friendly as possible. 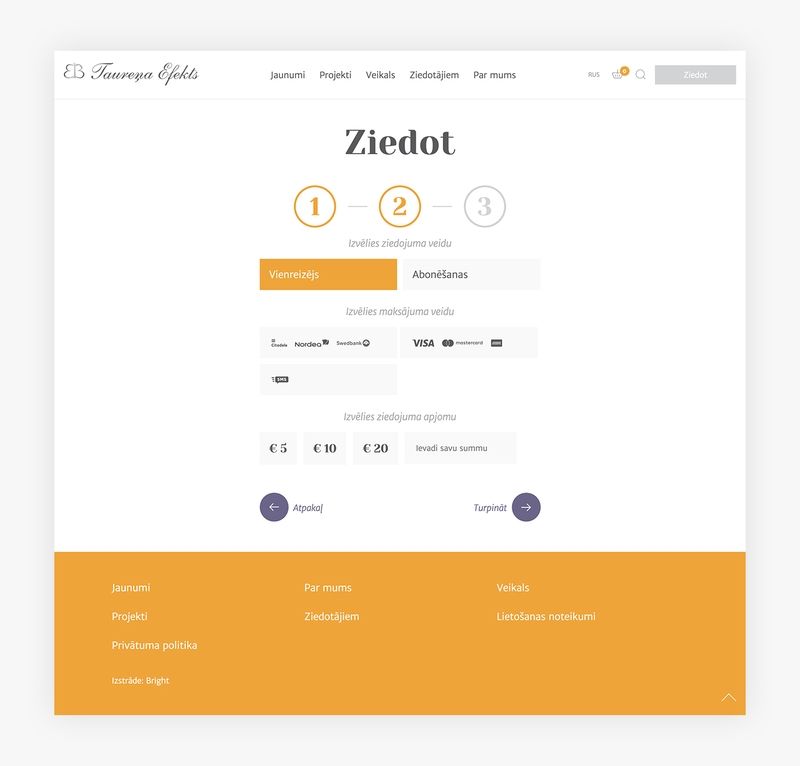 The website includes an online store and donation system that allows page visitors to support projects in 3 different ways – by donating via text message or by making a transfer, indicating the type of bank or payment card.